Telephoto compression brought the snow covered foot of the Eastern Sierras much closer than it actually is. The fine detail in this is amazing, and the end result like a 3D effect! The b/g snow really makes the f/g formation stand out...somewhat mesmerizing. Amazing contrasts and details- quite the perspective- as Carol mentions- a 3D look to it. 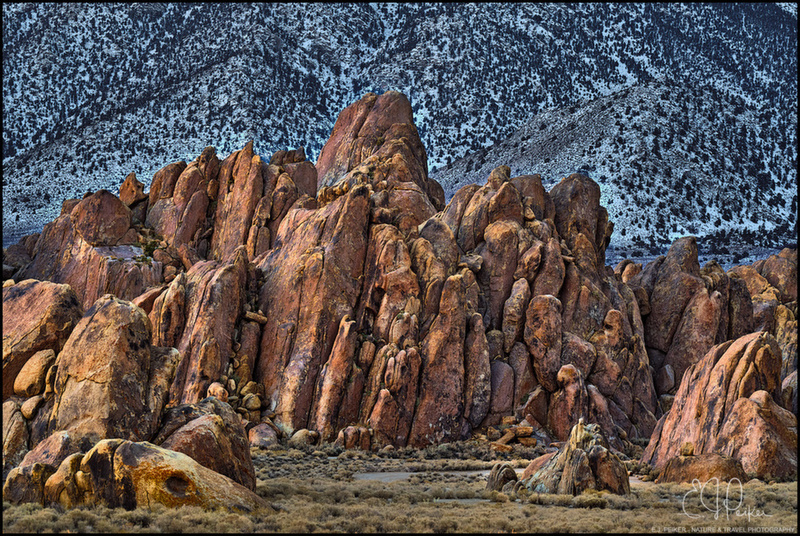 The rock formations themselves are so striking and unusual.